Only those who have been snoring heavily for years know how frustrating and tiring, not to mention embarrassing, snoring can be. It’s not just that you keep everyone up with your snoring – you also wake up tired, irritated, with a sore throat, and low on energy. Mouthpiece devices are not everyone’s cup of tea so if you are interested in purchasing a snoring aid that is less obtrusive and also more affordable, check out our Snoreworks nasal tubes review. 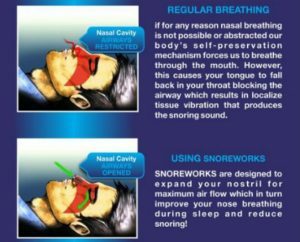 Snoreworks are nasal tubes that were created with the purpose of reducing snoring. They cannot cure your snoring for good – no snoring aid can – but they can definitely help you start snoring less and breathing better. Like all nasal tubes, they work by keeping the nostrils open. Sometimes, when we sleep on our side, one or both nostrils tend to collapse and close. In some people, this happens in just about any sleeping position. This disturbs the inner dynamics in our breathing apparatus, starting from the soft palate. As the nasal passages partially close, the airflow becomes irregular and the soft palate starts vibrating, producing snoring sounds. With nasal tubes like Snoreworks, this does not happen. Whether you sleep on your side or on your back, the nasal tubes softly dilate your nostrils and allow regular airflow as you breathe in and out. The tubes are anatomically shaped to fit your nostrils and they are kept in place by a small soft connection between them. As the breathing becomes smoother, the likelihood of snoring is greatly reduced. Snoreworks are offered in different sizes, from small to extra-large, since, naturally, not everyone’s nose is the same size. They are made of soft, comfortable, BPA-free silicone. 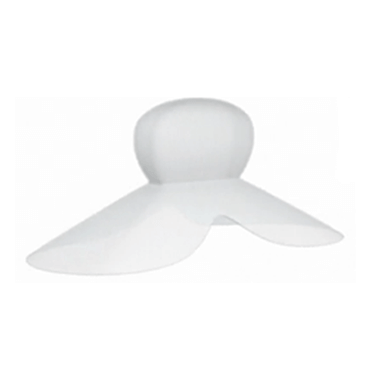 The main thing that sets Snoreworks apart from other snoring aids is that, like most nasal tubes, this aid is very unobtrusive, comfortable, and safe. More importantly, there are no side effects at all. This means no jaw pain, teeth misalignment, tongue soreness, drooling, dry mouth, allergies, rashes or other adverse effects. Also – and this sets Snoreworks apart from most other nasal tubes – they come in a set of four different sizes to choose from, which means you can definitely find the tubes that are the perfect fit for you and perhaps share the rest of the package with your bed mate or your family members who also snore. Snoreworks are made from silicone which means they are very soft, much softer than nasal tubes made from simple plastic materials. Make sure to try out different sizes, starting from the smallest, because not everyone has the same sized nose and you can’t really know what “nose size” you are until you try them all out. Use Snoreworks every night for best results. 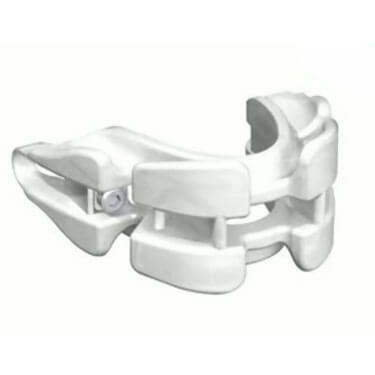 They are very easy to use and they do not require any fitting or molding. Simply take a pair of tubes and place one tube in each nostril. Push all the way in, as far as the link between the tubes allows you to. Don’t worry about going too deep or accidentally inhaling the tubes – that’s what the small silicone connection between the tubes is for. Snoreworks are very soft and should not cause any kind of discomfort, especially if you pick the right size. To clean them, simply rinse them under warm running water for a few seconds each morning after you take them out and occasionally wash them with dish soap. The set four different sized reusable vents plus a convenient travel case costs $14.95, which is a great price considering that it used to be $19.99. As far as the prices of nasal tubes go, Snoreworks falls somewhere in the middle. If you are still unsure if Snoreworks is right for you, check out the key advantages and flaws of this snoring aid. 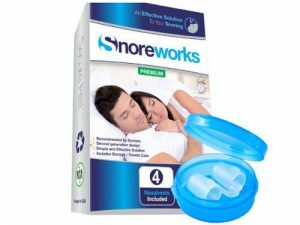 Snoreworks has all the qualities that make up a great snoring aid – they are reliable, safe, easy to use and comfortable. The price is fair and you get several different sizes in a set, plus a travel case. 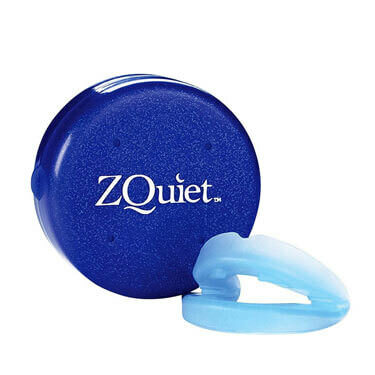 A decent choice for anyone looking to solve their snoring problem with a nasal device, which is exactly what was promised at the beginning of our Snoreworks nasal tubes review. Our ratings are the result of an objective and independent evaluation of Snoreworks, generating the final rating that reflects the overall quality of the company. Ratings may change as the product introduces changes. Snoreworks user rating based on 7 user reviews. Simply great! I have reduced my snoring by some 70%, I believe. Snoreworks are comfortable and reliable, my wife is happy, I am happy, definitely gonna keep using them. I was never really too keen on the idea of putting anything up my nose, but with my snoring lately…I had to give these a go. They really do work, to some extent, not completely, and they are not as uncomfortable as some other devices. They have to find a way to keep them from falling out. Apart from that, they are pretty solid. We found 0 verified Snoreworks discounts for April, 2019. There are no Snoreworks coupons or discounts right now. In order to be sure that Snoreworks truly is the best solution for your snoring troubles, you need to know what makes it superior or inferior to its alternatives. Discover how Snoreworks compares to other popular snoring aids of its kind with our detailed feature and price comparisons and easily determine whether you are making the right choice.